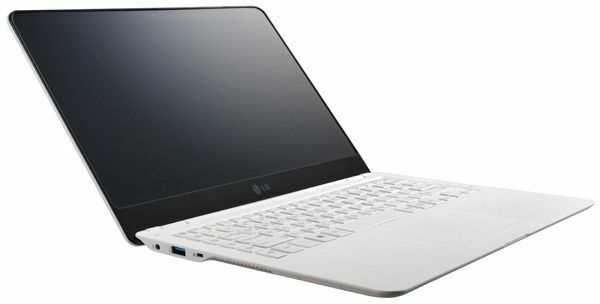 This is a 13.3” Ultrabook weighing just 1.2KG / 2.5lbs and comes with a full HD screen and Core i7 CPU. Getting a feel for the price-bracket on this one yet?! I don’t want to take eyes away from Brads article so head-on over to read what he’s got to say or watch his video below. One thing that could be a problem with the LG is availability. This South-Korean company does a great job getting to all the trade shows but never seems to follow up with good distribution channels into Europe and North America. I’ll see what I can do to get some words out of LG Germany when I see them at CeBIT in about 8 weeks. In the meantime we’ll pull it together in the database with the other LG Ultrabooks. That screen is to die for! Unfortunately like you said, it’s vaporware in Europe and North America. It’s said by Notebookcheck this is Haswell-based. Probably one reason why it can get an excellent weight/thickness envelope. It should be easier to do it without having stratospheric pricing like the Aspire S7. the usual pre-made store purchased cost). Quite simply, this item is about Diy solar. included (with identical completion timelines). that information you thru the method of constructing a solar panel. – Method sizing worksheet which can be applied to estimate the power specifications of the appliances and lights. understanding of whatever you really need to electric power your property. – Components and tool lists for every one of the projects. place alongside one another your solar panel. protect process elements, wiring, layout and measurements and instruments necessary. to generate your solar cells and windmills. The ways to live from the grid are merely a handful of initiatives absent. Just how did you be capable of build a real fantastic crowd associated with commenters to your internet site?